Works beautifully as long as I add a collider to my object. Thanks a lot jean, as always. well first I get a popup that tells me I need to update my APIs because the ones the script use are obsolete . I went ahead and did it because I really wanted this action, and after I did I lost my new playmaker functionality of creating new variables from the drop down. This functionality: disappeared after I clicked "go ahead I've made a backup." I'm about to try the link to the action in ecosystem that you sent me in another thread. I've never heard of ecosystem until then. Playmaker Help / Re: Does anyone know how to find the size of a game object? Which property has the "bounds" of the collider? Is this an efficient way of doing it? I ask the second question because so many time I come up with a solution for something, and I feel like "should I really be doing this? is this what someone with experience would do? is this going to slow my game down?" being self taught with just knowing some actions, to me, I feel like a student of the english language who knows vocabulary, but no grammar. I want to know the height and width of a rectangular game object specifically. Not it's scale, but how many units it takes up in space. wow, this is exactly what I need. 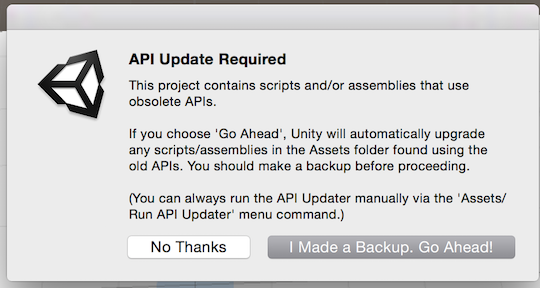 Any chance you can update it to playmaker 1.8, unity 5? I'll put this in the action request page as well. I figured it out! The camera HAS to be set to orthographic is seems. It spawns my object on the Z depth of the camera, even in ortho mode, but in the corder of my actual screen resolution. I think I really need to look into the 2D settings of unity since I'm making a 2D game, but I'm scared. Thank you so much. This seemed to clear it right up. I was terrified to use 1.8 because it said BETA. I went to the gym feeling hopeless, and came back to an answer, really. Thanks. Any ideas why screen to world 1, 1, 0 (normalized) would return 0, 0, -7.8? I don't see how this is possible, but at least my variables are no longer glutting out on me. General Discussion / Re: PlayMaker/Programming Fundamentals. Is this acceptable? what's a triple for loop? I know I will have to do a couple more iteration type things similar to this for other scenarios. Later I'm going to have to make a method for moving a tile up or down. It's going to need to make sure nothing in the row above it has the same x value plus or minus half the width of the tile. Playmaker Help / Re: Arraymaker "Array list sort" why cant I just sort the list one time and move on? It seems I've fixed my problem. You're reply tipped me off on what to look for Jean, Thanks. I had to write a whole new process to give my sort action something it can actually sort, but I'm afraid my method is too clunky. I was hoping for some suggestions, so I made a post in the general board. Here is a link for anyone who might be interested. InvalidOperationException: No IComparable or IComparable<System.Object> interface found. Rethrow as InvalidOperationException: The comparer threw an exception.